SuperGlide is the only true solution for safe 5th wheel towing with short bed trucks. SuperGlide automatically moves the trailer away from the cab while making turns - allowing up to 90° turning without stopping, slowing down or even thinking about the space between the truck & trailer - and then automatically returns the hitch and trailer to the safe towing position over the truck axle when the turn is completed. All SuperGlide models are available with the removable base rail type installation pioneered by PullRite. Unique SuperGlide mounting system allows hitch and mounting posts to be easily removed with no tools - when done towing, simply remove the hitch and rails, twist the heavy duty mounting posts ¼ turn and lift them out. A smooth, clean truck bed - with no need to carve chunks out of bed mats & liners. Allows You to Raise SuperGlide Hitch 3"
We’ve taken the hitch plate, rocker arm and crossmember, and combined all three functions into our SuperLite King Pin Adapter. The adapter clamps to the trailer’s king pin and mounts an upside-down ball in place of all three. Then we took a gooseneck coupler, and turned it upside-down and mounted it to a base that fits industry standard rails or PullRite’s totally removable SuperRails featuring Clean Bed Technology (CBT). We’ve added a funnel to the gooseneck coupler so that all you have to do is aim the ball over any part of the funnel to guide the ball into the coupler tube. Because the ball and the coupler funnel are completely visible from the driver’s seat, SuperLite is absolutely the easiest fifth wheel hitch to couple in the industry, and the lightest at only 52 lbs.! Mount The #4409 Adapter To Your Rails & Then Pin Your Super Glide To It. That EASY. Tow proud with another American made, safe and convenient PullRite innovation. 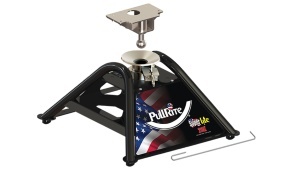 PullRite's specially designed adapter is equipped with a removable capture wedge that allows you to connect to any SuperGlide hitch. Fits a standard 4" diameter, round gooseneck coupler, and when used with your SuperGlide hitch, it can slide back on its rails to give you up to a 90 degree turn! Uses pins for quick and easy installation. It's a great application for horse trailers with RV-style living quarters. Get on the road today with PullRite! Introducing the new PullRite OE Series Ford ISR Adapter kit. Now you can use your Ford tow prep package with any industry standard fifth wheel hitch. Breaks down to four individual pieces, making installations an easy one man job. Four independent mounting posts and standard hitch pins require no tools to remove. Introducing the new PullRite OE Series Dodge ISR Adapter kit. Now you can use your Dodge tow prep package with any industry standard fifth wheel hitch. Introducing the new PullRite OE Series GM ISR Adapter kit. 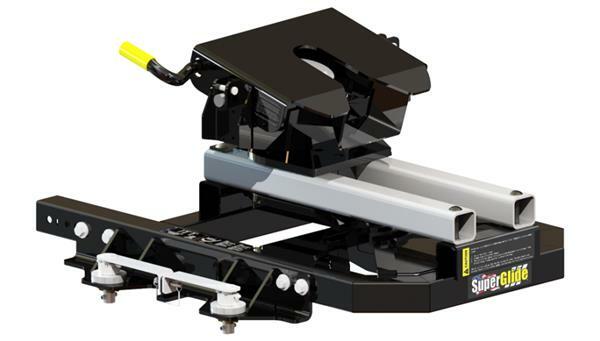 Now you can use your Chevy/GMC tow prep package with any industry standard fifth wheel hitch. 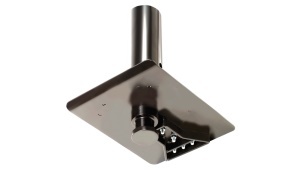 This OE Series adapter breaks down into 4 individual pieces, uses 4 independent mounting posts, requires NO TOOLS! The 16K & 20K SuperGlide moves up to 14" while making a turn - 50% farther than manually adjusted "slider" designs - and works AUTOMATICALLY, while you drive and make short turns. New QuickConnect Capture Plates have been designed to work with the most popular models of king pin boxes. 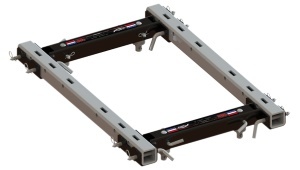 The use of the new QuickConnect Capture Plates will simplify the installation and significantly reduce the time involved in the installation. The new QuickConnect Capture Plate simply slips up over the king pin; set screws secure it to the king pin box. 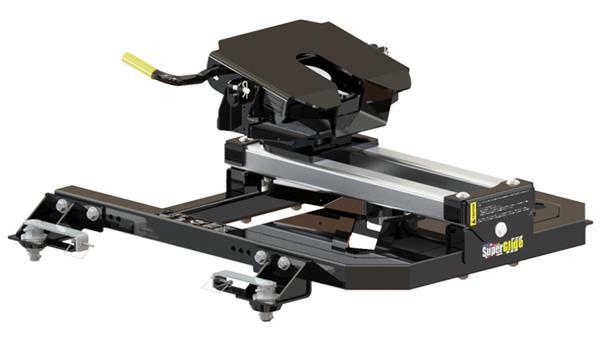 When the trailer is hooked up to the hitch, the QuickConnect Capture Plate will function and allow the trailer to guide the SuperGlide hitch to move when turns are being made. Safety: Automatically locking, gear driven latch keeps the trailer securely connected even if you forget the safety pin... eliminating the risk of dropping your trailer. 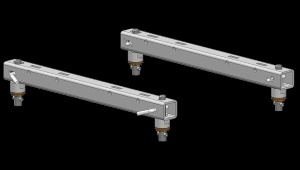 Comfort: Rotary latch design provides tighter connections between the truck and the trailer for more comfortable towing. Super 5th hitches are built with precision fit, laser cut parts. There is only .030" tolerance between the king pin and latch - minimizing the "bump" felt when towing. Value: Extraordinary designs priced to provide great value for your money. Performance: Latch design eliminates focused wear points providing years of trouble-free, outstanding performance. Innovation: The dual tilt articulating head pioneered by PullRite eliminates twist and stress on trucks and trailers and makes hitching and unhitching easier. Quality: Laser cut parts, superior designs, and over 30 years hitch building experience support our commitment to customer satisfaction. These Two Units Fit Into Industry Installed Rails. 16,000 lb. Towing Capacity--Pin Weight Capacity 4,000 lbs. Vertical height adjustment from 14 1/2" to 17 1/2". 20,000 lb. Towing Capacity--Pin Weight Capacity 5,125 lbs. 24,000 lb. Towing Capacity--Pin Weight Capacity 6,000 lbs. There are 2 bracket kit styles to choose from. The SuperBracket & the SuperRails mounting kits.